Facebook Bouncer? This Pub Won't Let You In If You're Not a Facebook Friend | OhGizmo! By Hazel Chua on 08/26/13 • Leave a comment! Talk about bring picky with potential customers. 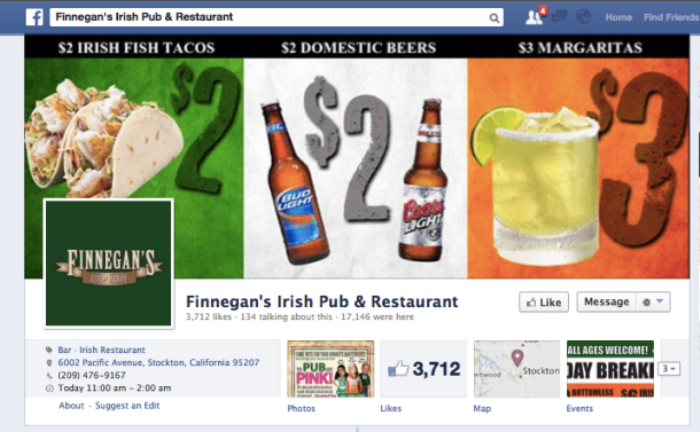 In most cases, it sounds pretty silly, but Tony Mannor, the owner of Finnegan’s Irish Pub, has a pretty good reason for being more selective with his clientele. He was apparently tired of having to deal with unwanted customers who messed up the mood in his bar and his interior decor. Instead of hiring more bouncers, he decided to add another requirement before patrons could enter his pub after 9PM: they have to be a friend of the bar’s Facebook account in order to gain admission. Mannor personally screens the profiles of people who add his pub’s account on the social network. The bar’s customer and Facebook friend Debbie Walters noted: “The bouncer actually stands at the front door with a computer to make sure you’re a guest. The move has proven to be effective. According to Mannor, most of the “undesirables” have been eliminated ever since he implemented the Facebook bouncer system. People who aren’t on the list can still get in on most nights, but as Mannor stated in a YouTube comment, slots are “limit[ed] to an overall percentage of total occupancy and other factors.” He also added that the bar has over 7,500 names on their guestlist, with Mannor knowing the faces of at least 75% of these people.